Every three seconds, a fracture occurs due to osteoporosis. That means by the time you finish these two sentences, about three osteoporotic fractures will have occurred in the world. Osteoporosis is a disease caused by deterioration of bone tissue and low bone mass and it drastically increases your risk for a fracture. In the United States alone, 53 million people are affected by Osteoporosis/Osteopenia and most affected people are women. In fact, one in three women over 50 will have a fracture due to Osteoporosis. 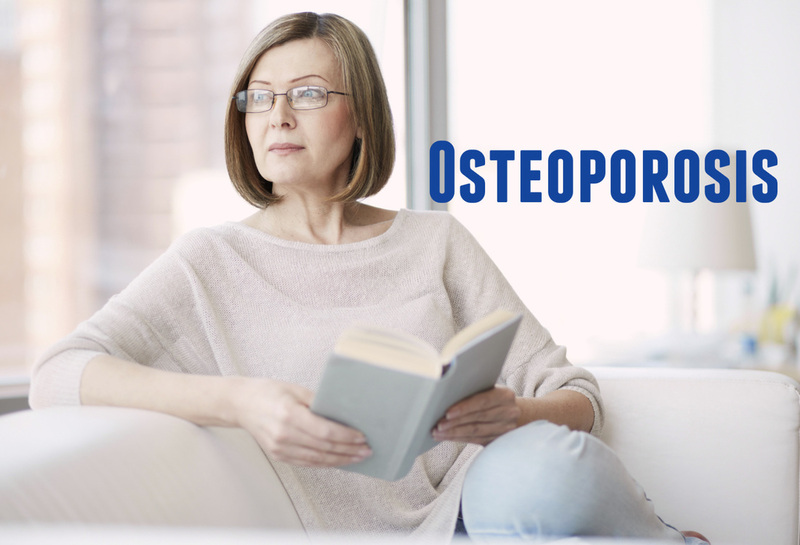 Osteoporosis is the most common metabolic bone disease in the United States and can result in devastating physical, psychosocial and economic consequence. It is overlooked and undertreated largely because it shows no symptoms before causing fracture. Fractures are much more dangerous than just a broken bone and are very dangerous to overall health. Sixty percent of older women who have a fracture due to Osteoporosis will die within 1 year of having the fracture. Many of the risk factors for Osteoporosis are genetic, however through good nutrition and exercise early in life, Osteoporosis is possible to prevent. Both women and men are at risk of Osteoporosis, however women are much more likely to be diagnosed with the disease due to their smaller body frame and loss of hormones at menopause. Caucasian women are especially at risk, especially those with a slim, petite body frame. In fact, a Caucasian woman and an Asian woman can have the same bone density score, but the Caucasian woman will be more likely to have a fracture than the Asian woman. Adults should get at least 600 IU of Vitamin D each day. Food is generally a poor source of the vitamin. Sunlight is the best way to get enough Vitamin D but is still dependent on many factors including sunscreen use, skin color, latitude, season, and more. If you choose to use a Vitamin D supplement, 1000-2000 IUs are generally a safe dose, but it is important to consult your doctor to discuss any potential drug interactions. Vitamin D is also stored in your body’s fat and can be toxic if too much is taken. 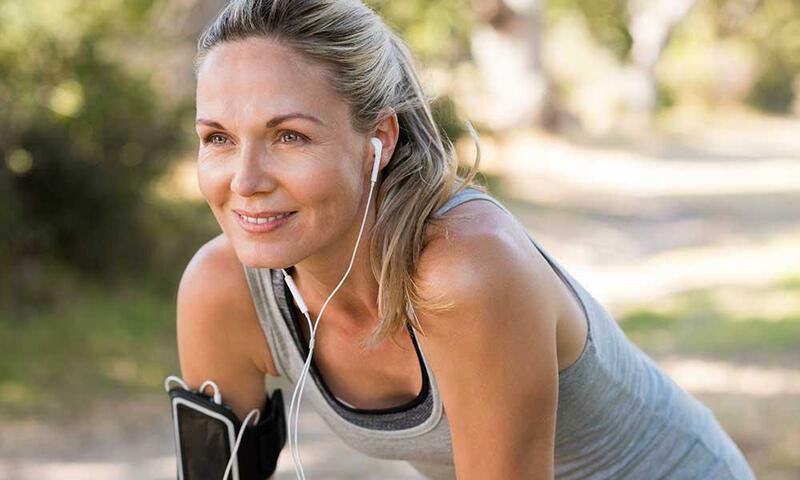 Exercise is another important component in the prevention of Osteoporosis. Many studies have shown that exercise, especially during childhood and adolescents, help build strong bones. Weight bearing, resistance, and aerobic exercises are especially good for bone health. After childhood and adolescence, these types of exercises are still important in the prevention of Osteoporosis. Examples of good exercises to prevent Osteoporosis include walking, hiking, jogging, tennis, weight lifting, isometrics, and dancing. At my office, routine screening begins at age 60, but women should be screened earlier if they have risk factors or have had a fracture. A DEXA (Dual Energy X-ray Absorptiometry) scans your body and measures the density of your bones. A DEXA is done every five years to check the health of your bones and is done every two years if your bone density is low (Osteopenia or Osteoporosis). Osteoporosis is diagnosed with by the T-Score given by your DEXA scan. It is considered a silent disease since it usually shows no symptoms until a fracture occurs and at that time, it is usually too late to prevent the disease. To the right, you can see an example of an image you'd see on your DEXA. The three lines represent the 90th, 50th, and 10th percentile for bone density. On the right is the T-Score and on the bottom is age in years. The green zone represents healthy bones (T-Score -1.0 to 2). The yellow zone represents Osteopenia (T-Score -2.5 to -1) and the red zone represents ​Osteoporosis. Medications are also used to treat Osteoporosis, and some are more effective than others. The downside, however, is that it is typically a game with the insurance and most insurances will need a poor reaction to two types of Osteoporosis treatment before they approve the last, but most effective treatment for the disease. ​These agents all work by slowing down the cells that cause bone to break down while still allowing the cells that build bone to function. Fosomax and Actonel are once a week pills while Reclast is a once a year intravenous infusion. Treatment review with a Bisphosphonate is recommended after 5 years due to concerns over spontaneous femur fracture and to evaluate renal function. Concern with longterm treatment with a Bisphonsphonte include osteronercrosis of the jaw and atypical femur fractures. Prolia is an injection given twice a year and is a medication called a RANK ligand inhibitor. 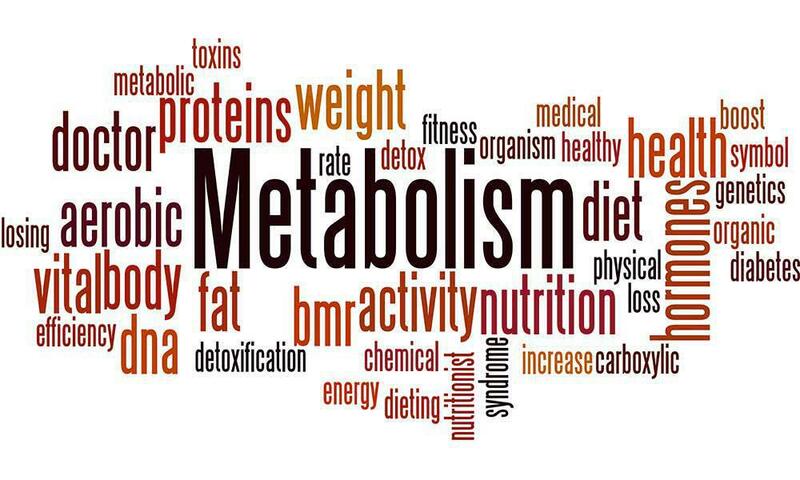 It works by decreasing the breakdown of bones and increasing bone density and strength. Prolia is very effective, but not often approved by insurance companies straight away. Before approving Prolia, insurance usually likes to see a patient have a poor response to other first-line agents first. It is a shame since I have witnessed firsthand the positive effects on the bone of this medication which also has fewer side effects. Boniva is another Bisphosphonate and also works by slowing down the cells that break down bone. Boniva is either taken as a pill once a month or through the vein every three months. If not taken properly by the directions, Boniva has the possibility of damaging the esophagus. It is important to always take this medication as directed if it is in pill form. Evista is a Selective Estrogen Receptor Modulator (SERM) that works by stimulating bone health in the same what that your natural Estrogen stimulated bone health before menopause. Evista may also help reduce the risk of breast cancer in women with Osteoporosis. Evista is an oral pill. Evista (a SERM) si most useful in younger postmenopausal women without severe osteoporosis. It does carry an increase risk for deep vein thrombosis (DVT), stroke and hot flashes. It has the additional benefit of reducing the risk of Estrogen positive breast cancers because it blocks the estrogen receptors in the breast. Calcitonin is a hormone responsible for decreasing the amount of calcium that circulates in the blood. By stopping the cells that break down bones, less calcium is released into the blood and broken down. Forteo is a form of hormone produced by your parathyroid glands that works by stimulating the cells that build bone to lay down new bone. It is a daily injection given for 18 months. Estrogen is effective in maintaining bone health and can improve osteoporosis; however, Osteoporosis itself is not a main reason to begin Hormone Replacement Therapy. Though calcium is an important component of bone health, it is associated with some problematic effects on your heart health. The safest way to get more Calcium for your bone health is to increase the amount of Calcium you get naturally from foods and supplement with Vitamin D rather than supplementing with Calcium and Vitamin D together. Duavee, although not specifically a medication for Osteoporosis, has the dual benefit of having Estrogen and a SERM. Both of these stimulate bone health, however the SERM has the added benefit of protecting the lining of the uterus, therefore eliminating the need for synthetic Progestin (the hormone most associated with the increase risk for breast cancer). Preventing dangerous falls is essential in Osteoporosis. Avoiding slippery and wet surfaces may help prevent falls. Some women may need the use of a cane or a walker in order to insure that a fall will not be likely to occur. By keeping your home clean and tidy, you are also less likely to trip over something on the floor. Rubber carpet guards can help hold carpets and rugs in place so they are less likely to slip around. Though socks and stockings are great for keeping your feet warm, they can add to slipperiness, especially on smooth surfaces like tile or wood. Avoid wearing them at home, or buy socks with rubber dots on the bottom to increase “stickiness”. Rubber mats and shower handles can also be used in the shower or tub to decrease the likelihood of a fall in such a slick area. ACOG Practice Bulletin. Osteoporosis. ACOG. 2012.International Osteoporosis Foundation. Osteoporosis Facts and Statistics. IOF International. 2015. The Center for Menstrual Disorders and Reproductive Choice. Osteopenia and Osteoporosis.